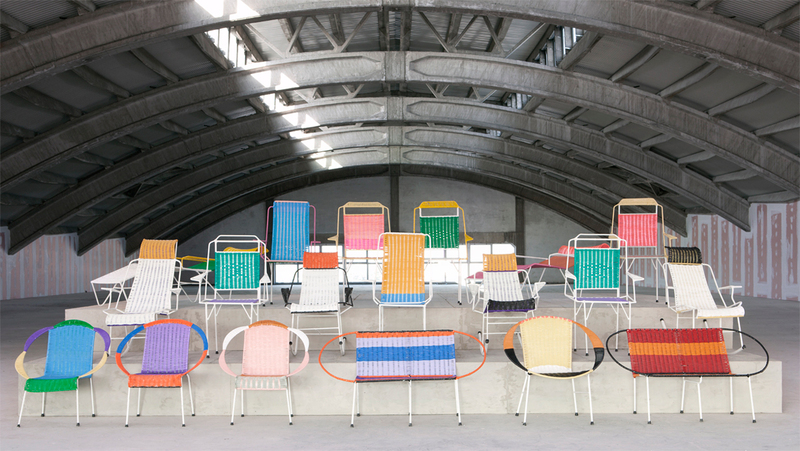 Ok, so I know that our summer so far hasn't got anyone in the mood for garden furniture but I've seen some pretty funky rattan about recently...none so funky as the Marni collection, however. Trademark colour blocking in this summer's super hot hues mixed up with mid-century shapes...Marni have nailed it! It's a rattan revival! Seriously though, these chairs are part of a project; they're made by Colombian prisoners as part of a rehabilitation programme. Find out more here.